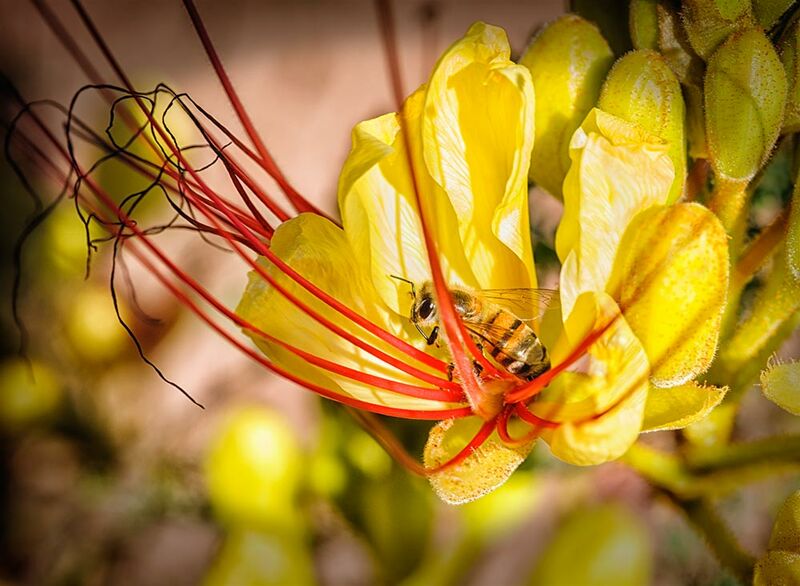 Bee hard at work in the flowers of a Desert Bird of Paradise. The image was captured with a Nikon D3X, 105 mm micro Nikkor f2.8 lens. Post processing was completed in Photoshop and NIK filters.